In 2009, the European Parliament and the Council adopted Regulation (EC) No 1007/2009 banning the trade in seal products in the European Union. 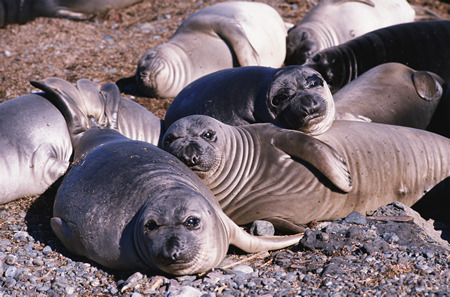 The ban applies to seal products produced in the EU and to imported seal products. The Commission adopted implementing Regulation (EU) No 737/2010. Both acts became applicable on 20 August 2010. The ban was amended in 2015 in order to reflect the outcomes of WTO rulings in the EC-Seal products case. The amendments to Regulation (EC) No 1007/2009, which also repeals Regulation (EU) No 737/2010, became applicable on 18 October 2015. The Commission adopted a new Commission Implementing Regulation (EU) 2015/1850, also applicable as of 18 October 2015. More information on the legislative history of the Regulation can be found here. The seal hunt is part of the socio-economy, culture and identity of the Inuit and other indigenous communities and it contributes greatly to their subsistence and development. For this reason the Regulation provides for an Inuit exception. It allows the placing on the Union market of seal products which result from hunts traditionally conducted by Inuit and other indigenous communities if the conditions under Article 3(1) of Regulation (EC) No 1007/2009, as amended, have been met. Before being introduced into the Union's market, seal products that qualify under the Inuit exception must first be attested by bodies recognised in accordance with Article 3 of Commission Implementing Regulation (EU) 2015/1850. Previous list of recognised bodies authorised by the Commission under repealed Regulation (EU) No 737/2010. This list is no longer valid but the certificates issued before 18 October 2015 by bodies appearing on this list remain valid after this date. The European Union allows the placing of seal products on the market where those products come from hunts conducted by Inuit or other indigenous communities, provided that certain conditions set out in EU law are fulfilled. A seal product carrying a specific QR Code label and accompanied by its attesting document, issued by one of the above recognised bodies, can be placed on the EU market.